Can you support us on #GivingTuesday? Please help us light the way for people like the listener quoted above. Why support Spirit Catholic Radio on Giving Tuesday? On Giving Tuesday, we’re asking you—our listeners—to help Light the Way for Others. The God who loves us very much wants all people to have a personal encounter with his son, Jesus. For some, however, the path to Him has yet to be illuminated. At Spirit Catholic Radio, our mission is to light the way. To journey together with people. To show them, through our programming, that there is a God who loves them and that there is a way to a better life–a life with Christ. Today, on Giving Tuesday, we are asking our listeners to please help us continue to light the way for others. The birth of Jesus reminds us that true and lasting satisfaction comes from taking pleasure in what we can give, and not what we possess. We’re a non-profit, radio apostolate. We rely on listener support to continue broadcasting. 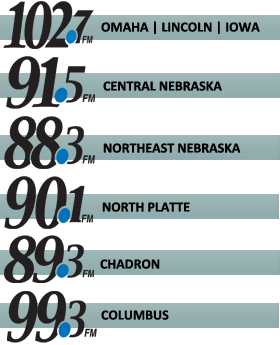 Next year, in 2019, we’ll celebrate 20 years of Spirit Catholic Radio. This isn’t because of us, but because of the Father, Son, Holy Spirit and YOU—your prayers and financial support. In addition to Spirit Catholic Radio, we also like to remind our listeners on Giving Tuesday, that there are a number of wonderful Catholic non-profits out there in our listening areas that need financial support, just like us. Please, keep them in mind as well. The end-of-year is also a great time to look back on the year and make gifts in honor of special occasions such as weddings, and baptisms; and to make memorial gifts to remember loved ones lost in 2018. Of course, we pray for all our listeners on a weekly basis at Spirit Catholic Radio, but each December, during our Three Days of Christmas Celebration, we hold a special Mass at the Chapel of the Word Incarnate in Omaha. At this Mass, we’ll be praying especially for every person and family that makes a donation between now and December 27. It’s one way we can show our deep appreciation for the support our listeners give us throughout the year—and especially as we approach the end of 2018. That Mass is Friday, Dec. 28 at the Chapel in Omaha at 11:30 a.m. and the public is invited to joins us.